A lot of expectations rested against this week’s episode of Raw as we were already aware of a few matches and segments for the show. However, once again, creative failed to take advantage of the hype and the talent at hand and made some questionable bookings that left us with quite a few questions after the show. 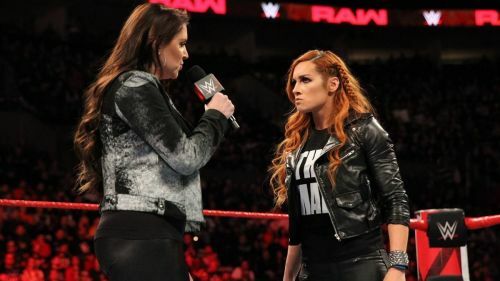 Yet, there were some highlights from the show such as the opening segment involving Becky Lynch and Stephanie McMahon, followed by Ronda Rousey dismantling the Riott Squad. We witnessed an above average tag team contenders match which surely helped elevate the tag team division of the red brand, and also watched two top female superstars make their way to the Elimination Chamber pay-per-view. At the end of the show, we learned quite a bit from this episode which will surely have an impact on the future of the show and the superstars involved. With that said, let's take a look at the 5 things we learned from Raw this week and analyze the same. For a while, there have been rumours going around that The Revival have asked for their release from the company, and could be jumping ship to the all-new All Elite Wrestling (AEW). Even though that might be true, Scott Dawson recently addressed the speculation that the two men are not planning to leave Raw anytime before becoming Raw Tag Team Champions. The Revival is arguably the best tag team on Raw right now, and their win in the number one contender’s match on Raw this week could signal towards them finally winning the championship. It’s no secret that the duo and the WWE Universe are unhappy with the team’s position on Raw currently, but all that could change with the threat of AEW trying to secure top talent for the promotion. This could all work in The Revival’s favour, as they may become Raw Tag Team champions for the first time at Elimination Chamber.